Mr. Chairperson, ladies and gentlemen, and friends! What is pluralism? Paul R. Brass in his “Ethnicity and Nationalism” (1991) put forth a simple description of pluralism as a “system that embraces a multiplicity of social, cultural, economic and political groups and that does not permit the imposition of the ideas, values, culture or language of a single (dominant) groups on others”, In social and political thoughts, pluralism would mean “the autonomy” enjoyed by different groups within a society of multi-racial, multi-religious, multi-linguistics and multi-cultural state. Pluralism has become a unique features of both democratic and communist states and societies in modern times. This idea is philosophically linked with the theories of Pluralism and Monism, many and one. As opposed to the monistic theory of unity, there are philosophers who believe in the multiplicity and diversity of things as most stable and important factor. It was William James (1842-1910), an American philosopher who developed the philosophy of pluralism. In his “Pluralistic Universe” (1910). William James held that “the problem of the one and the many is the most central of all philosophical probes”. This philosophical perception has been adapted to the political, sociological and cultural issues of the modern civilization, state and society, because diversity has become institutionalized in modern states and societies. In the early decades of the twentieth century when the “melting pot” theory of the American nationhood as reflected in the vigorous programme of ‘‘ Americanization” of various ethnic immigrants of the United States was discarded , the idea of cultural pluralism grow up. They discarded assimilation and opted for integration or harmonization, co-existence of cultures. Many American policy makers and sociologists argued that assimilation was not a desirable goal but Americanization would benefit by preserving many separate cultures, blending of the admissible features of various foreign nationalities. This policy gave a great push to pluralism. In India, in the early years of the republic, there was a widespread talk of Indianization of the people living in the periphery. There was no popular takers for such a theory. Ethnic diversity is generally regarded as the main cause of pluralism. Ethnic diversity was the legacy of conquest, trade and immigration, sometimes colonial immigration or voluntary immigration to the countries which provided opportunities for employment and settlement. Historically, an ethnic diversity was created when a groups of diverse ethnic peoples were brought together by conquest, and put under the rule of the dominant group to which belonged the rulers. Ethnic diversity posed no problems for the big European colonial empires until the beginning of the twentieth century. The central empires under the control of the nation states of Europe required political unity and social solidarity. But nation states and ethnic diversity were diametrically opposed to each other. Naturally problems grew up sooner or later. The colonial powers of Europe had attempt to find solution to the problems caused by the social, linguistics and religious diversity in the policy of assimilation and acculturation of the diverse groups- whether forces, induced or voluntary or communities becomes more profound and sharpened when they are undergoing an ethnic competition with each other. This competition may be for the assertion of their identity and for a share in the governance and the enjoyment of the state resources. Assimilation does not easily happen as each other group asserts its identity; each one of them is concerned not only with material interest but also the symbolic emblems like its identity. Therefore, there are opposition to this policy or concept of assimilation which is being replaced by the policy of integration. We may further note that integration may be understood as the harmonization of the social and cultural relationship based on emotional integration. The sense of mutual belongingness is the basis of emotional integration. Plurality is a unique features of Manipur, her polity society and culture. Manipur is a classic example of a plural society. Ethnic and social pluralism is the basis of the state and society. Ethnic diversity in Manipur, as history shows, is the legacy of her long history. The social composition of her people consists of the indigenous Meiteis who are the dominant group, the indigenous Naga tribes who live in the northern and north eastern and eastern hills of the state, the immigrant Meitei Pangan (Manipuri Muslim) who are an indigenized community, and the immigrant Kuki-Chins who migrated to Manipur in different periods of history, and other communities who migrated from mainland India. The ethnic diversity was the result of the conquest of the hill tribes by the Meitei state, settlement of the immigrants in the state by the Kings of Manipur assisted by the British Political Agency. Manipur is a historically evolved state. The long march of Manipur, in time and space, started from the prehistoric times. The first historical kingdom was founded in the first century of the Christian era by King Pakhangba who founded the Ningthouja dynasty. The kingdom was further developed during the reign of Loiyamba (1078-1122) who promulgated a decree known as the Loiyumba Shinyen which is regarded as the first written constitution of the kingdom. It had become a full- fledged sovereign state during the reign of King Kyamba who conquered the Kabaw Valley in 1471 and annexed it by a treaty with king Khikkhomba of Pong, the Mau Shan state of Mogaung un upper Myanmar. It reached the status of a little empire in the 17th Century as the boundary of the kingdom was pushed beyond the Chindwin River in upper Myanmar. Garibniwaz extended his empire into the heartland of Myanmar up to Sagaing on the Irrawaddy near Mandalay, the capital of Ava during the first half of the 18th Century. In the process of the expansion of the state into the surrounding mountains, the various Naga tribes who inhabited the hill ranges overlooking the valley and along the trade routes to Assam and Myanmar were brought under the political control, though no direct rule was established over them. With the conquest of the Kabaw Valley, the Shans and other ethnic groups living in the western part of the Chindwin basin became the subjects of the empire. In addition to the immigration of early batch of the Kuki-Chin groups, the influx of the Kukis into Manipur in the 19th Century, which was a process of immigration of the Kukis, Paite and kindred tribes, brought in new elements to the growing diversity of the population of Manipur. The earlier Kuki-Chin groups like the Hmar, Kom and kindred tribes came to Manipur in and around the 14th century. However, with the transfer of the Kabaw Valley to Burma in 1834, the Shans and inhabitants of that Valley ceased to be the subjects of Manipur. However, there was a social absorption of the Kabow (Shan-Tai) into the Meitei social fold when they were in Manipur. Other Immigrants like the Aryan Brahmans, the Muslims and the trading communities came to Manipur in different periods of history. By the end of the 19th century, after the British conquest of l89l, Manipur, had become multi-ethnic state, and pluralism had taken deep roots. Manipur has become a sovereign nation state by the 15th century. The kings of Manipur followed a liberal social policy towards the peoples who accepted the suzerainty of the Meitei kings. They were the tribes who were the tribes who were later brought under the Naga identity by the British. The Shana of the Kabaw Valley and some of the earlier Kuki-Chin tribes, wore popularly known by the misnomer nomenclature of “Old Kuki”, an invention of the British ethnography. There was no bar to the integration of the so people into the Meitei social fold. However, the lack of communication, absence or near absence of trade, the King’s or state’s relation was not beyond the collection or offering of the nominal annual tribute, No Lallup was imposed on them before 1735. They were not disturbed and left to themselves. The king did not interfere in their polity so long as they expressed their loyalty to the king. The writ of the state was confined to the villages along the trade routes only. After conversion into Hinduism in the 18th century and introduction of a mild form of caste system, the social policy of the Hindu monarchy and nobility had undergone a great change. The process of integration of the tribal population into the Meitei social fold was discontinued. A hiatus between the Hindu Meiteis and tribal communities, who were the followers of the indigenous faith, was created. The process of integration was not perhaps completely stopped. There are historical evidences of conversion of not only individual tribesmen but even whole tribal localities into Hinduism and their complete absorption into Meitei social fold. The process still continues sporadically, confined mostly to the inter-marriage families. In the nineteenth century, the Kuki influx added a new complexity to the social diversity of Manipur. The Muslims or the Meitei pangan who were settled in Manipur since the 17th century were partially integrated into Manipur while they adopted the Manipuri language (Meitei) is their mother tongue as a result of their marriage with Meitei women and acceptance of the lineage (sagei) system imposed by the state. In the twentieth century, both ethnic and religious diversity has emerged. The adoption of Hinduism by the Meiteis, conversion of tribes into Christianity created a religious divide and the opportunity of integration was lost. Colonialism also created further problems for the plural society. During the period of the colonial rule or eve earlier to that, ethnicity was adopted as criteria for the identification of the hll tribes into the two identity constellations, the Nag and the Kuki. Affinity with the Nagas of the neighbouring Naga Hills was adopted to identify a group of indigenous tribes as Naga. And the affinity with the Kuki tribes of Assam (North Cachar and Cachar), Chin and Lushai Hills was adopted to identify a groups of tribes as Kuki. These generic names were not used by the tribes themselves who were ignorant of the name but they were imposed on them by the colonial administrator. It was R. B. Pemberton (1835) who refers to the Kookies or Khongjai and Nagas among the tribes. William McCulloch in “The Account of the Valley of Muunipore and surrounding Hill Tribes” (1859) mentions the two identity formations, Naga and Kuki. He listed some tribes as belonging to Kuki group and some tribes as belonging to the Naga groups. The classification of William McCulloch, though arbitrary was more or less adopted by the subsequent writers like R. Brown, T. C. Hodson and John Shakespeare There were additions and modifications in the list of the tribes by these writers. Ethnic pluralism was contained by the Meitei state (mostly due to the ignorance, disunity and weakness of the tribes). The colonial ruler exploited the ethnic diversity in order to strengthen their rule in Manipur. Conflict and clash among the tribes were to be solved by them by government from the administration of the hill tribes of the state. The British tried to project themselves as the saviours of the tribes. With the coming of democracy, a progressive social outlook had emerged due to rapid educational achievement, economic progress and exposure to the outside world brought about by the Second World War. The social barriers which plague the relationship among the plural segments are breaking down gradually. The ethnic pluralism has been to some extent harmonised by the power sharing by the various cultural groups in the in the democratic government of the state. The democratically elected leadership has controlled the politics of the state. At the same time, the elites representing the political, bureaucratic, economic interests including professionals like doctor, engineer, teacher, writer, intellectual and journalist - have greatly influenced (or controlled) the political leadership and government machinery. The differentiation between the rural peasants and urban white collar employees and commercial class had emerged. The social differentiation has emerged in the ethnic groups, the bureaucracy, the political leadership, business interests, the church bureaucracy and tribal peasantry. There is tension and rivalry among the various ethnic groups in the state bureaucracy which greatly influence the ethnic relationship and their attitude towards the state. This may not be necessarily the outcome of pluralism but mostly of cut-throat economic competition in a capitalist economy. The problem of inter-ethnic conflict and tension, and intersocietal hiatus exists in the state. This calls for serious introspection. Indian nationalism has come into conflict with ethnic nationalism. At the same time, there is the inter-ethnic identity assertion which is quite a formidable phenomenon. The process of nation building and national integration have to accommodate the ethnic aspirations and identity assertion. Manipur is facing all the negative problems of a plural society. However, it is undeniable fact that pluralism is the basis of the state t of Manipur. True it has great constraints but it has also intrinsic advantage and opportunity to solve these problems. Pluralism is the basic structure of the state of Manipur. 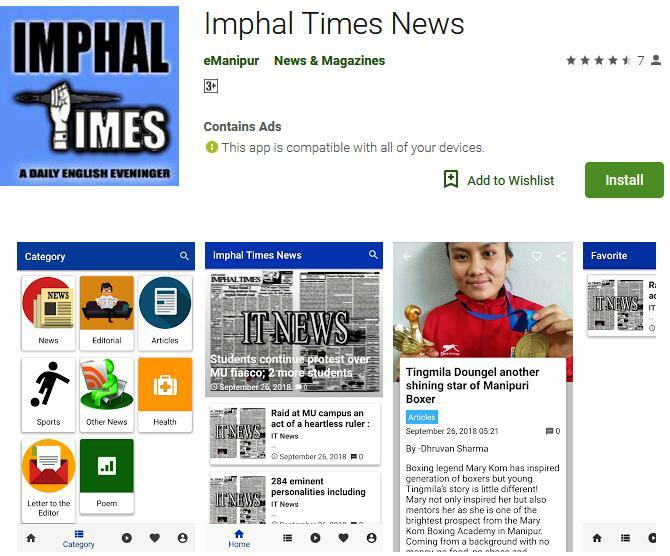 It has preserved the identity of ‘the various ethnic groups of Manipur. Pluralism has not so far succeeded in evolving a common identity of the people of Manipur. Amartya Sen’s theory of multiple identities in a state exactly fits into the pluralistic state and society of Manipur. But a common aspiration of the people can be evolved if pluralism is properly managed by a conscious state. Manipur state is a partnership of her varied people. Various laws enforced for public health and safety is useless in the state of Manipur as no law enforcers have ever acted as per the provisions provided in the act. Yes, Cigarettes and Other Tobacco Products Act, 2003 (COTPA) which was enacted in the state is of no use as no record of any penalty to violator of the act has been heard so far. During a training programme for Law enforcers at Sangai Hotel, Somorjit Ningombam, State Nodal Officer, National Tobacco Control Programme (NTPC), said that Cigarettes and Other Tobacco Products Act, 2003 (COTPA), was enacted by the Government of India to protect people from the dangerous health effects of Tobacco. COTPA, 2003 prohibits smoking in public places, advertisements of cigarettes and other tobacco products, selling of tobacco products to a person under 18 years and in educational institution areas and selling of cigarettes and other tobacco products without specified health warnings. Violation of COTPA is liable for penalties. To facilitate effective implementation of the tobacco control law, the National Tobacco Control Programme (NTCP) was launched in the year 2007-08 but was enacted in 2010 in Manipur. Somorjit further said that the main focus of the control programme is to reduce secondhand tobacco smoke, which remains a serious public health challenge and help the tobacco users to quit smoking and using tobacco products. For effective implementation of the programme, a State Level Coordination Committee has been formed with Chief Secretary as Chairman in July 2017-18 to reduce the menace of tobacco in the State. Enforcement staffs are formed at State, District and Block level. The enforcement staffs will be lead by CMO and SDO at district level and at block level respectively. The programme is yet to get its momentum as enforcement of the Act requires intersectorial Departmental coordination. The training for the law enforcers is an initial step in banning of tobacco related products in the state since its inception. The trained enforcement squads will look into areas where tobaccos are sold and steps will be taken up to create awareness about the COTPA provisions. Specified signage will be put up at public places, health institutes, educational institutes etc. to make the programme a success. NTCP cell will work with the NGO partners to create awareness among the people. He also added that people who want to quit smoking can contact the State Tobacco Control Cell at RIMS. The state cell will be organising a cycle rally in connection with the observance of World No Tobacco Day on May 31, 2018, he said. Chief Minister N. Biren Singh appreciated the Prime Minister Narendra Modi, BJP National President Amit Shah and Minister of State (Independent Charge) for Youth Affairs and Sports Rajyavardhan Singh Rathore and the Union Cabinet for approving an Ordinance for setting up the country’s first National Sports University in Manipur. Chief Minister on behalf of the people of Manipur expressed his happiness and gratitude over the decision of the Union Cabinet. Chief Minister mentioned that the functioning of the University would gain its momentum after the Ordinance gets the President’s assent and expressed his confidence that the Bill would be passed in the Parliament soon. The Ordinance is on the lines of the Bill introduced in Lok Sabha in August, 2017. It may be mentioned that the Manipur Government has already allotted land for the University. The University will be spread over more than 300 acres in Imphal West District. The proposal to set up the National Sports University in Manipur was first announced by Prime Minister Shri Narendra Modi with an allocation of Rs. 100 crores in the 2014-15 budget. readily attended by the medical team under the Regimental Medical Officer. The timely action of Battalion medical team not only saved precious human life but also reinforced good faith among the locals. Commerce and Industries Minister Thongam Biswajit Singh assured all possible assistance to local entrepreneurs, and stated that the Pradhan Mantri Kisan SAMPADA Yojana is one such scheme of the government aimed at helping and encouraging local entrepreneurs. Biswajit chaired a meeting on Kisan Sampada which was also attended by members of All Manipur Entrepreneurs Association and officials of Commerce and Industries Department. The Minister also urged local entrepreneurs to apply for the scheme so that they can avail the feasible projects under the Pradhan Mantri Kisan SAMPADA Yojana. He said that encouraging entrepreneurs in the State will eventually help in fighting the unemployment problem. Biswajit also hinted at improving the food processing sector in the State so that our local producers are able to reduce wastage of their products. The attending entrepreneurs also highlighted issues they face while applying for the scheme. Under the Pradhan Mantri Kisan SAMPADA Yojana, Mega Food Parks, Integrated Cold Chain and Value Addition Infrastructure, Creation / Expansion of Food Processing & Preservation Capacities, Infrastructure for Agro-processing Clusters, Creation of Backward and Forward Linkages, Food Safety and Quality Assurance Infrastructure, Human Resources and Institutions will be implemented. Yesterday’s meeting was also attended by Deputy Director, Food Processing Industries (FPI) H. Murali Meitei. 11 Assam Rifles under the aegis of HQ 26 Sector Assam Rifles organised a lecture on “Career counselling and ways to join Armed Forces” at Eklvaya Model Residential School, Moreh, Tengnoupal district. The students were told about importance of career selection, options available to them at various stages of life and important landmarks in academic life. The students were also told about the various entries in the Armed forces and CAPFs and the privileges and benefits of joining the same. The lecture was attended by 150 students from class 8th to class 10th along with 10 members of the faculty including the principal of the school, Mr Henkholum Touthang. The lecture was followed by display of weapons used by Assam Rifles and the students were thrilled to see them. A total of 250 students attended the weapon display. The success of the event was evident by the gratitude expressed by the students and teachers to 11 Assam Rifles for organizing such welfare activities for students. sugar, informed Mintu Ranjan Dutta, an executive of the newly launched healthcare institute. Health City Hospital, Ayursundra Hospital, Nemcare Hospital, Wintrobe Hospital, Barthakur Clinic, Sun Valley Hospital, Rahman Hospital, Sight First eye-clinic etc. 18 Assam Rifles of Headquarters 26 Sector Assam Rifles under the aegis of Headquarter Inspector General Assam Rifles (South) along with Chandel Football Friends conducted open trials for selection of football team for “Oorja Under-19 Talent Hunt Football Tournament - 2018” over a period of two days from 21 May 2018 to 22 May 2018 at Maha Union Hr. Secondary School of Chandel District. The youth of Chandel town and surrounding areas of Chandel District showed remarkable enthusiasm to be part of the trials. A total of 154 boys participated in the open trials conducted by 18 Assam Rifles and Chandel Football Friends. The selected players will form a team to represent Chandel District in “Oorja Under-19 Talent Hunt Football Tournament - 2018” being organised in Imphal from 17 June 2018 to 24 June 2018. Players selected during the tournament in Imphal will participate directly in the “Oorja Tournament” to be conducted at National level at New Delhi from 16 July 2018 to 25 July 2018. 18 Assam Rifles provided all requisite support for the trials to select final team for the mega tournament. The efforts of Assam Rifles and Chandel Football Friends were widely appreciated by the local populace, parents and youths of the district.